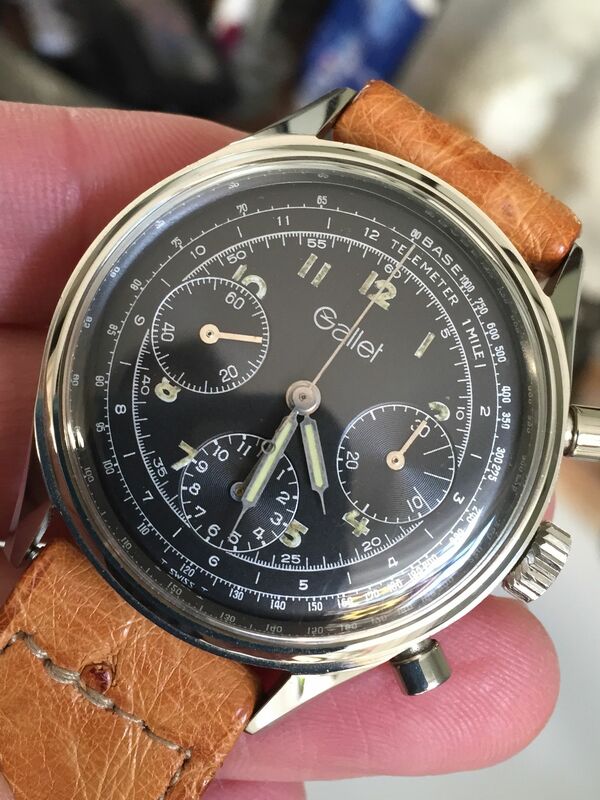 Beautiful Gallet Multichron Mk2 with valjoux 72. The dial is in superb condition as is the case with crisp lugs. The watch runs perfectly but no service history known.